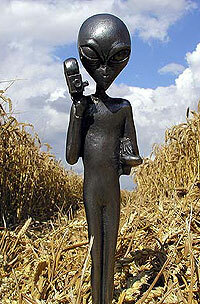 The Crop Circle Connector have opened its latest video files and made them available for this investigation. It includes the most recent aerial footage to add a new perspective to this dynamic report. People arrive each year from all over the world, to see these fabulous works of art that appear overnight, and to be part of the mystical experience that surrounds them. For many years a mysterious force has been creating fantastic formations in the wheat fields around the ancient stone circles of southern England. What would happen if an undercover private detective was sent from L.A. to investigate this magical annual phenomenon? This is an extraordinary video report. 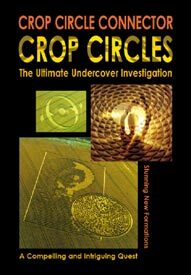 It contains a fascinating insight into Wiltshire's crop circles. This DVD including the Music Video, runs for approximately 60 minutes. 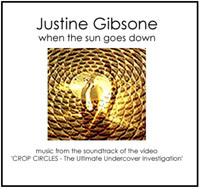 Also available, the CD featuring the song 'when the sun goes down' from the soundtrack of the video. The purchase price for this service is USD $25 Which includes Post and packaging. The DVD-R disk is compatible with most domestic consumer DVD Players and Computer based DVD-R ROMS, check this link.before buying. purchased at the prices above.